On January 30, 2014, Mayor Bill de Blasio, Police Commissioner William Bratton, and Corporate Counsel Zachary Carter spoke at a press conference at the Brownsville Recreation Center in Brooklyn about the NYPD stop and frisk policy that has, for decades, wrongfully used race as a determinative factor in policing. The astonishing number of stop and frisk reports filed by police was about 194,000 in 2013, 532,911 in 2012, and 694,000 in 2011. These changes were a result of the 2013 ruling of Floyd v. City of New York by Southern District Judge Shira Scheindlin who found stop and frisk policies unconstitutional because they unfairly targeted young African American and Latino men. It has also been reported that the City will drop both its appeal of the ruling in Floyd v. NYC and its appeal of a separate case regarding policing the outside of private buildings in the Bronx. In her Floyd ruling, Judge Scheindlin suggested a pilot program that would require police officers in one precinct, in each borough, to wear a camera to record all police encounters for one year. It’s possible that if this new program is adopted, the already declining number of stop and frisk reports in NYC will plummet. 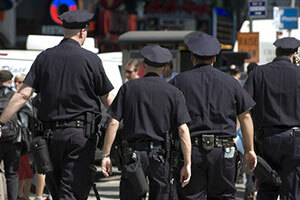 If you have been the subject of an unlawful arrest or police brutality you should contact us for a free consultation.